EcoEnclose has worked with over 10,000 ecommerce companies, ranging from large, international brands to individual artisans and entrepreneurs who were just getting their ecommerce shop off the ground. We love working with, learning from and being inspired by every single one of them! Through this experience, we have developed a broad offering beyond what is available on our website. Read on for case studies describing some of the innovative solutions we've provided. Are you interested in unique, high volume custom solutions or strategic packaging guidance? If so, read more about what kind of services we can offer and contact us through this page or via support@ecoenclose.com. A rapidly growing outdoor gear company needed a mailer solution that could integrate with the bar code scanning technology they were implementing in their warehouse. This company has always had a deep commitment to the environment and to using innovative and thoughtfully sourced materials across their product line and operations. 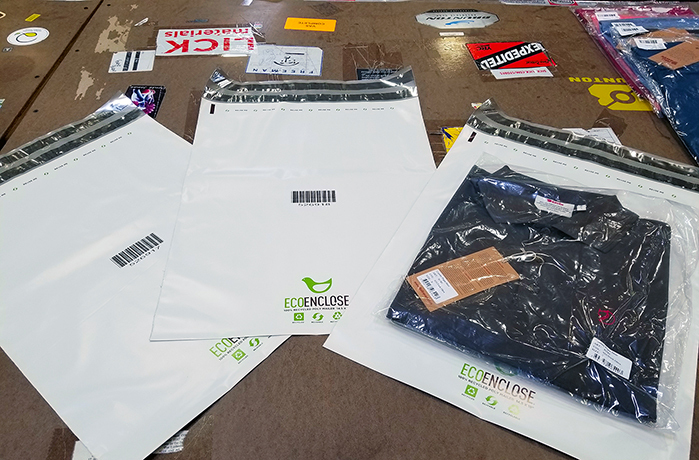 We worked with our manufacturing supply chain to provide this company with EcoEnclose’s 100% Recycled Poly Mailers, with sequential bar codes printed on each bag. These bags have enabled this company to significantly improve their fulfillment times without having to make any sacrifices on their company values. 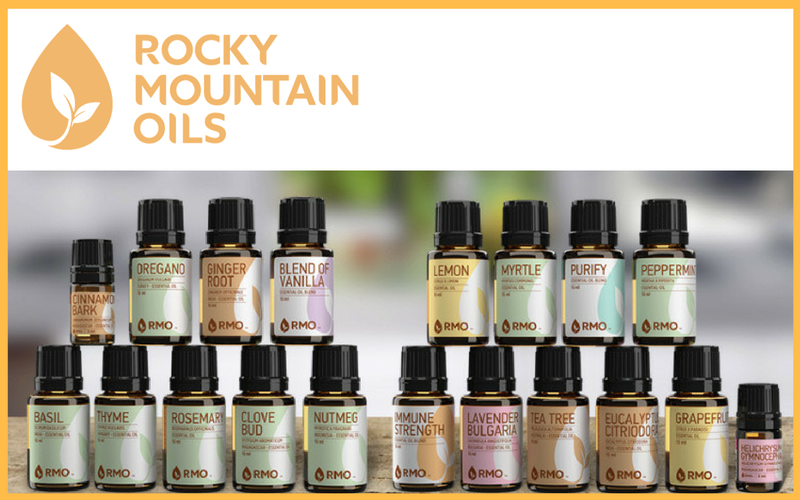 An essential oils company saw how deeply their customers, employees, and many organization leaders valued environmental responsibility. They wanted to find ways to improve the sustainability of their operations, but as a rapidly growing business they had so many other priorities to focus on and needed outside support to identify how and where they could make improvements. They reached out to EcoEnclose, and we’ve worked with them to make smarter packaging choices that would not only support their eco values, but that could also generate a financial return through improved customer loyalty, retention and referral. We helped them move to 100% Recycled Padded Mailers for their small items. They include our free We Care Cards in each outbound package to ensure their customers know the investments they’ve made in sustainable packaging. We have also begun working with them on 100% Recycled, Custom Sized, Branded Shipping Boxes that will eliminate their need for void fill to protect their glass bottles in a way that allows for an efficient and flexible packaging process. They have also been wonderful partners in helping us push forward Algae Based Inks for their branded packaging, making them true innovators in the sustainable business world (and simultaneously helping us and Living Ink Technologies build a market for algae inks). This company is serious about doing right by Mother Earth! Bedrock approached us in 2016 for a packaging solution that complemented their ethos, embodied their environmental commitment and ideas, and illustrated their unique aesthetic and brand. Today, we provide them with thousands of stunning boxes each quarter, printed with a design that was hand sketched by Bedrock team member Matt McAdow. These boxes - printed with Algae Ink - serve as both their ecommerce packaging and retail packaging. 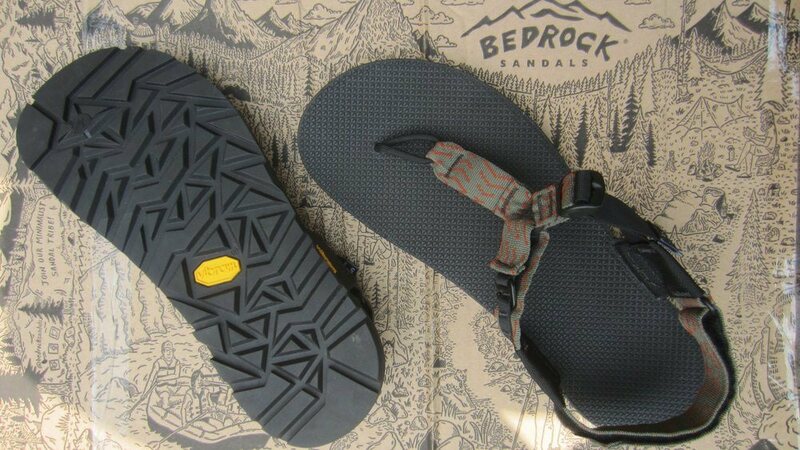 We also provide them with printed 100% Recycled Kraft Mailers that their customers can use to send back Bedrock sandals for their Re-Soul program. This cutting edge packaging not only aligns with their company values and mission, it also extends their brand through the recipient experience. Data shows that 40% of customers would share an image of premium branded e-commerce packaging on social media. Bedrock has seen this trend firsthand. Followers, aka “Bedrockers”, flood Instagram with images of Bedrock’s products and branded packaging to showcase their own adventurous spirit to the world.